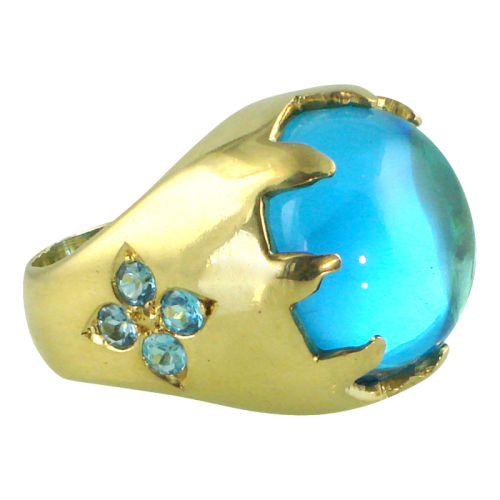 This Blue Castle ring is inspired by the Pena Castle in Sintra, Portugal. This ring is inspired by the Pena Castle in Sintra, Portugal. The prongs represent the crenelations on one of the towers of the castle and the side of the ring has a gemstone design that mimics some of the windows of the monument.